It Revolution Press, 9781942788294, 432pp. Gene Kim is a multi-award winning CTO, researcher, and author. He is the founder of Tripwire and served as CTO for thirteen years. His books include The Phoenix Project, The DevOps Handbook, The Visible Ops Handbook, and Visible Ops Security.Kevin Behr is the founder of the Information Technology Process Institute (ITPI) and the general manager and chief science officer of Praxis Flow LLC. Kevin has 25 years of IT management experience and is a mentor and advisor to CEOs and CIOs. 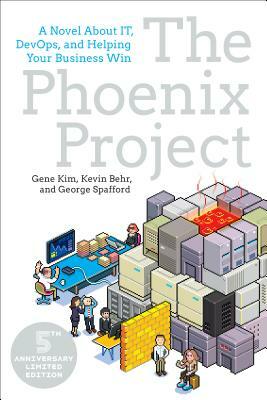 He is the co-author of The Phoenix Project and The Visible Ops Handbook.George Spafford is a research director for Gartner, covering DevOps, technical change, and release management, in addition to the use of bimodal IT and the pace-layered application strategy. His publications include hundreds of articles and numerous books on IT service improvement, as well as co-authorship of The Phoenix Project, The Visible Ops Handbook, and Visible Ops Security.